Texas A&M International University (TAMIU) has posted an historic enrollment this Fall, driven by a record freshman class size, increased semester credit hours and a dramatic increase in graduate enrollment. Total combined undergraduate and graduate enrollment is 7,996, a 4.6% increase over last Fall’s 7,640. Undergrads number 7,013, while graduate students number 983. Semester credit hours, pivotal to State funding formulas, are up 5.15% over last Fall. The Freshman class, the largest in TAMIU’s history, is 1,351 strong and includes students from 143 different high schools. Graduate School enrollment, including 22 doctoral students, is up 16% from last Fall’s 822. 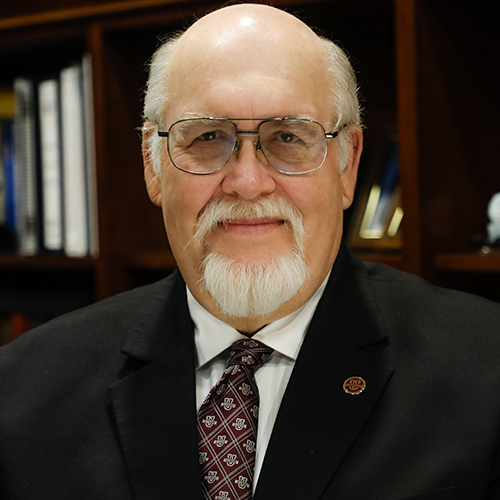 TAMIU president Dr. Pablo Arenaz said the enrollment growth bodes well for the University as it enters the Legislative Session and prepares for its 50thAnniversary. “It’s enormously gratifying to see the University delivering its mission of providing quality higher education to our city, region and state. Our legislators will be impressed by our growth and by the caliber of our students. They are bright, committed and eager to engage in their classes and community. The experiences and education they earn here will well prepare them for a changing world. As we move ahead to the Celebration our 50thAnniversary in 2019-20, we believe that growth will continue as will our impact on Laredo and our region,” Dr. Arenaz said. He said that TAMIU’s implementation of some aggressive programmatic and technological changes have helped to fuel student engagement. “We reviewed our student experience from application to enrollment to try and find ways to streamline and refine that experience. Some changes included broader recruitment outreach and support to offset reduced dual enrollment. Others focused on technological interventions like a mobile scheduling system. Some expanded on student experiences in service-learning, study abroad and special signature courses which deepened student experience. While promotion is always an expensive proposition, we launched an aggressive online Graduate School presence and recruitment campaign that has yielded impressive results in relatively little time. In short, we found ways to ease, deepen and broaden the student experience…and students have responded,” Arenaz said. Full-time female student enrollment increased 2.25% percent over the same period last year. Full-time male student enrollment increased 4.75% percent. Students are coming to the campus from 66 Texas counties, 27 states and 30 foreign countries. The youngest student enrolled is 13 years old. The oldest is 76. The most popular undergraduate majors are Nursing, Psychology, Elementary Education-Bilingual Emphasis, Criminal Justice, Business Administration and Biology. The most popular graduate programs are Business Administration, School Counselor, Curriculum and Instruction, Public Administration, and Educational Administration. The College with the highest enrollment is the College of Arts and Sciences, followed by the A. R. Sanchez, Jr. School of Business, the College of Education, College of Nursing and Health Sciences and University College. Of the foreign countries represented in the student population this Fall, those with the highest enrollment are México, Germany, Nepal, Nigeria, Colombia and Australia. States with the highest student enrollment at TAMIU other than Texas include California, Arizona, Illinois, Florida and New York. Of the 66Texas counties represented in the student body, those with the highest student enrollment include Webb, Zapata, Maverick, Starr, Hidalgo and Bexar counties. Registration for the Spring Semester at TAMIU is now underway. The Spring Semester begins Jan. 22, 2019. For additional information, contact the Office of the Registrar at 956.326.2250 email: registrar@tamiu.edu, click on http://www.tamiu.edu/registrar/ or visit offices in the Senator Judith Zaffirini Student Success Center, room 121.